A combination of ceramic magnet, hard alloy steel pole piece screws and a load of thin magnet wire. A raw, dirty, powerfull sound. Fast, sharp attack, tight low end and a lot of output. 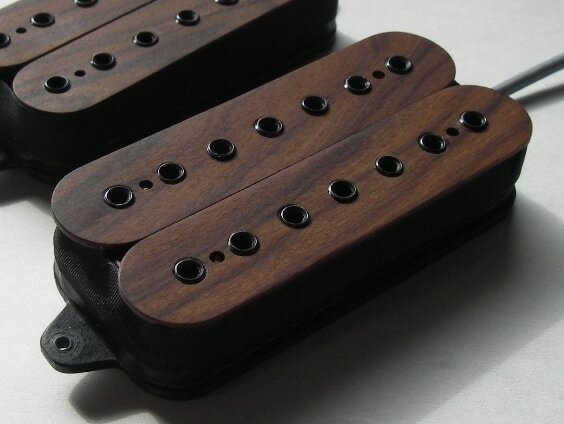 Great for drop tunings. Fully potted. 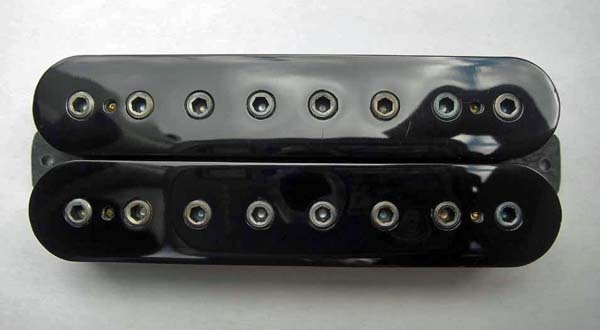 The pickup for metal. Custom bobbins available. 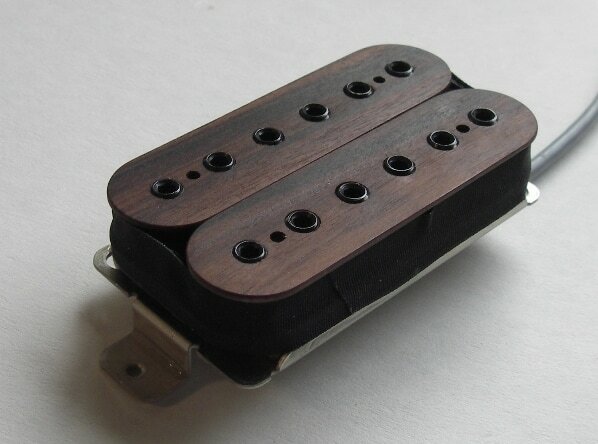 ​The pickup comes with four conductor shielded wire. 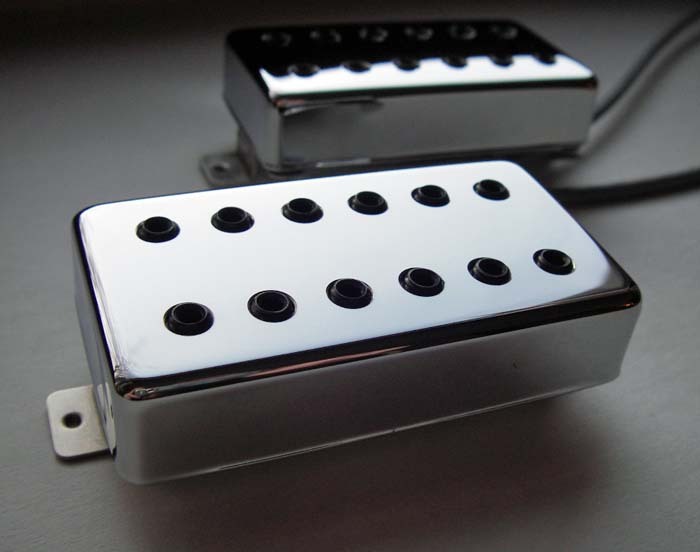 ​Available now with black plastic or nickel/chrome plated nickel-silver cover. No brass base plate is used! 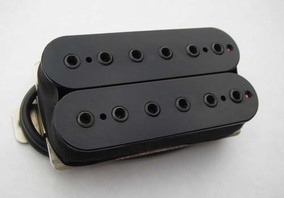 Same pickup available now as 7-string version. 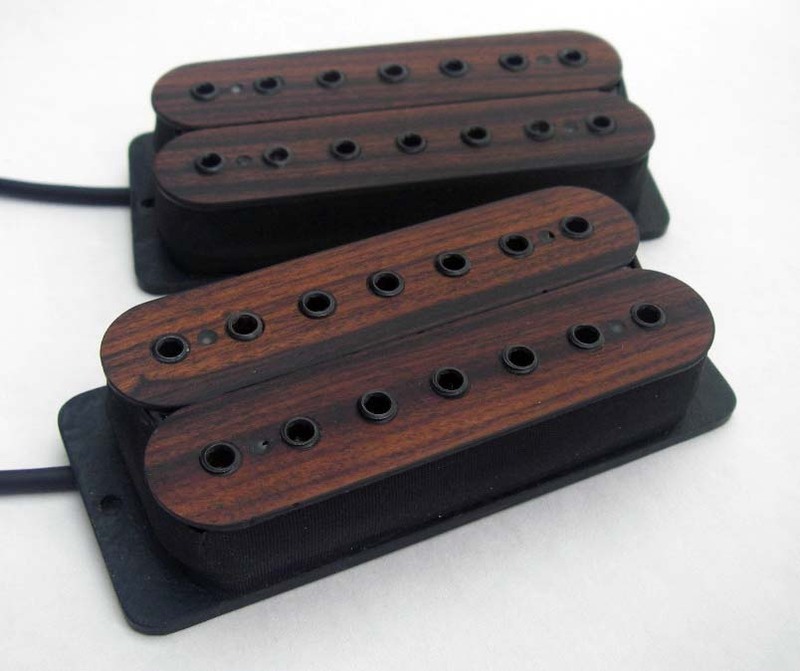 Same pickup available now as 8-string version. Mash from LA made this pickup test few years ago. The pickup is one of the early prototypes.